Granola is healthy and it’s so true. Here is a brutal fact – Too much granola will make you fat. Healthy does not mean over-indulgence is permissible. The ingredients that are used in the making of granola are all healthy/superfoods, but they are rich in fat (healthy fat). The nuts, seeds, coconut oil, palm sugar are all great for health but are high in calories. By all means, having granola and ditching the packet of chips is a better choice. Adding some yoghurt and seasonal fruits to granola will be the best choice (breakfast or evening snack). So don’t sit in front of the T.V. with a jar of granola and assume, you are on a diet and this will help you lose weight. 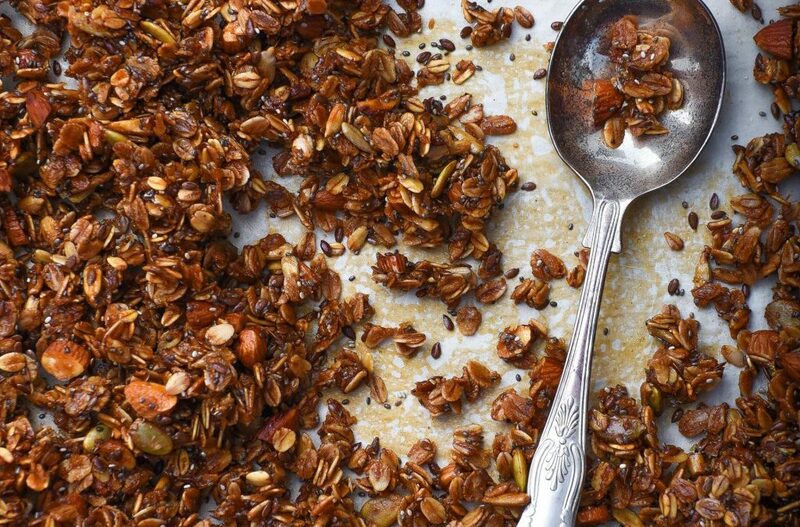 This is a very basic, healthy and easy to make granola recipe. The granola turns out really yum. Homemade granola is far better than the store brought. Because you can have control over the ingredient quality and quantity. I suggest never ever buy granola from the market, make it at home. It’s easy, quick and much better. 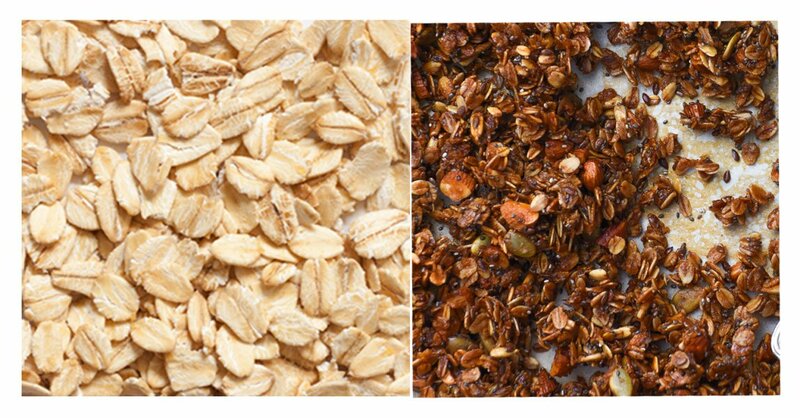 The main ingredient used in the making of granola is oats. We require old fashioned rolled oats Nutriorg Gluten Free Rolled Oats (500gms.) for making granola. Don’t get confused between the quick cooking oats are rolled oats. We need the thicker / whole / rolled oats similar to the ones shown in the picture below. Besides oats, granola needs nuts and seeds. You are very welcome to play around in this area of the recipe. Choose your favourites, seeds/nuts. 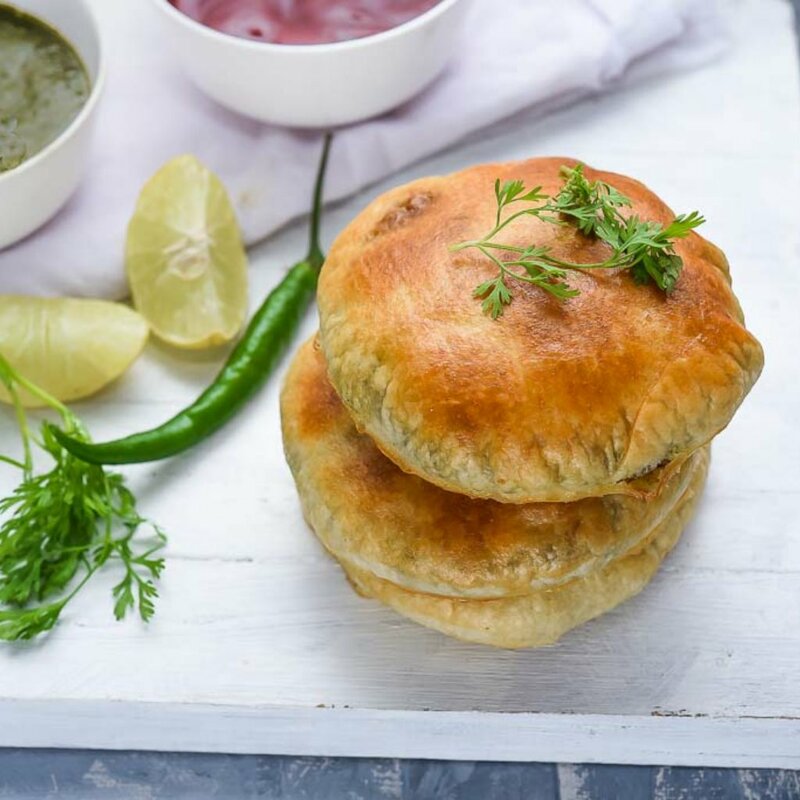 The ones you already have in your kitchen, the ones you like. 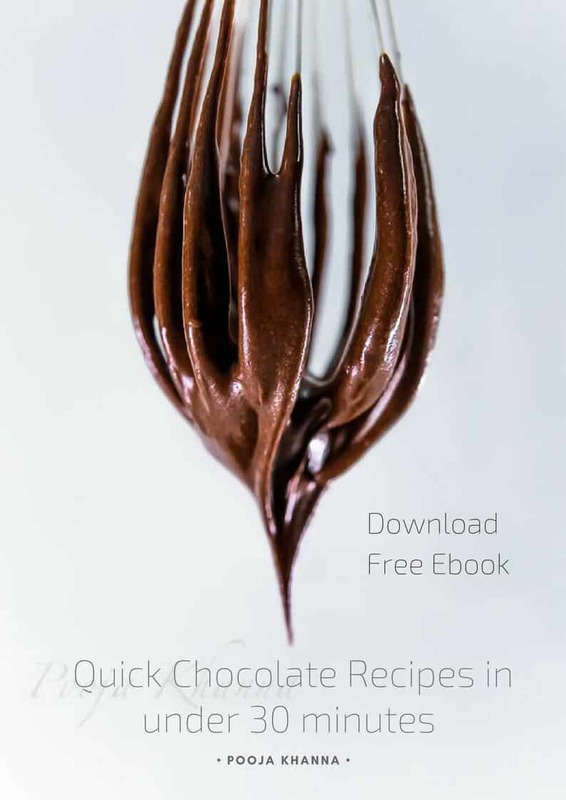 I have used almonds, flax seeds, chia seeds, and sunflower seeds. Applesauce is another important part of the recipe. You can use either use store-bought or homemade. Place the peeled, cored, quartered and chopped apples in a large pot. Add some lemon juice, sugar, ground cinnamon Keya Pure SriLankan Cinnamon (Ceylon) Powder with Genuine Source Certification, 100Gm , and salt. Stir well. Cook on medium flame. Once fully cooked, remove from heat. For chunky applesauce, mash the apples in the pot with a potato masher. Or puree into a paste. 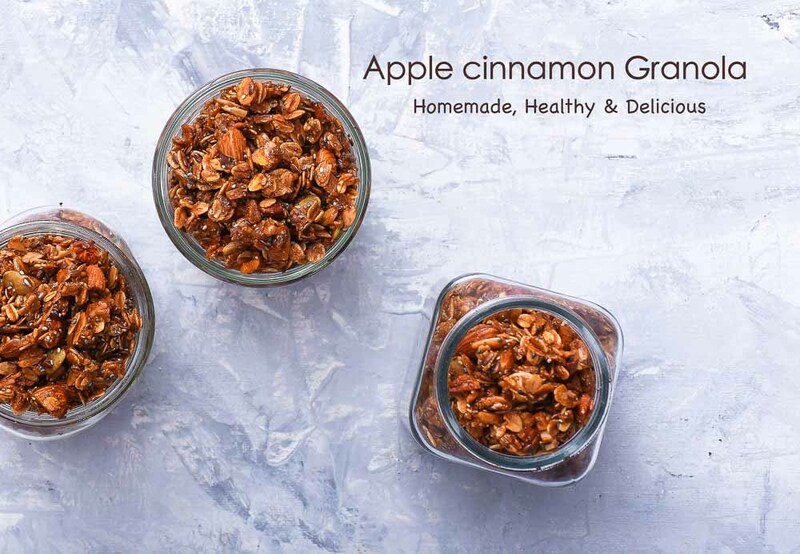 In the end, once the granola is baked, but still hot, you can add in dried fruits (cranberries, cherries, apricots, dates, figs, raisins) and mix well. 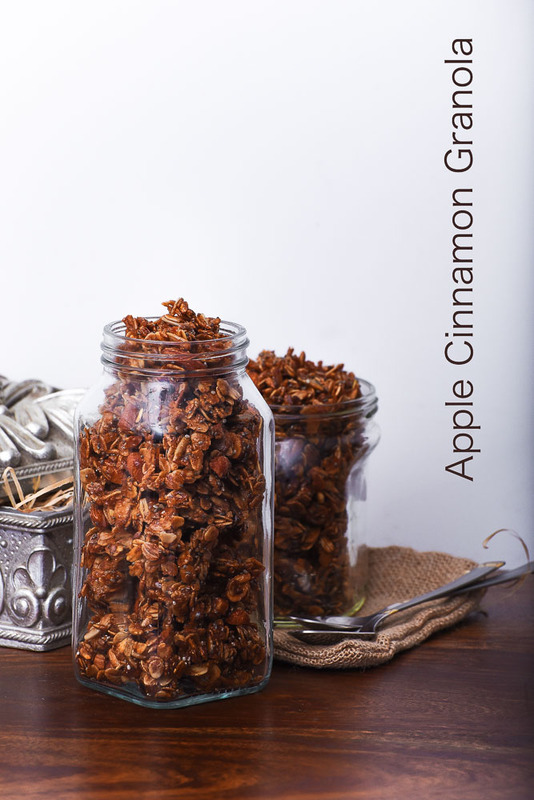 My daughter, Nitya dislikes dried fruits in her granola, so I skipped adding these to my batch. 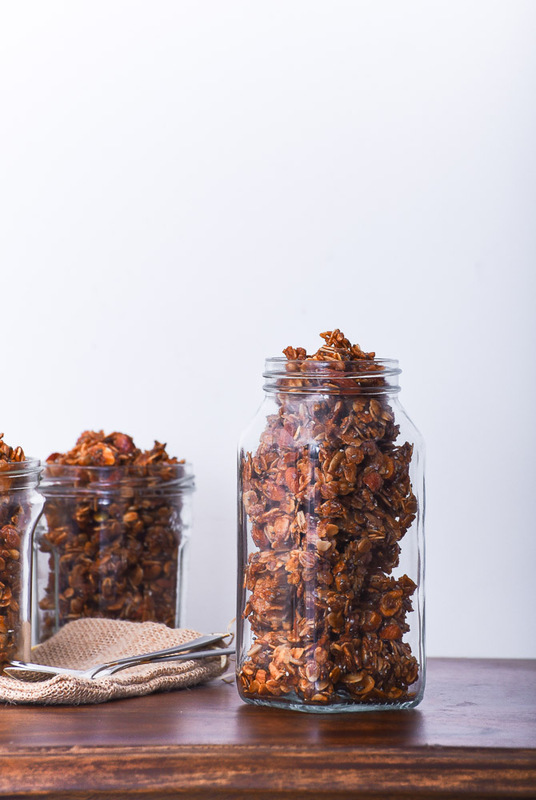 You can take all or few of these sweet dried fruits and make the granola more yum. Preheat your oven to 120* C. Line a baking tray with a sheet of parchment paper. In another bowl, stir together the apple sauce, coconut oil, honey, and coconut sugar. 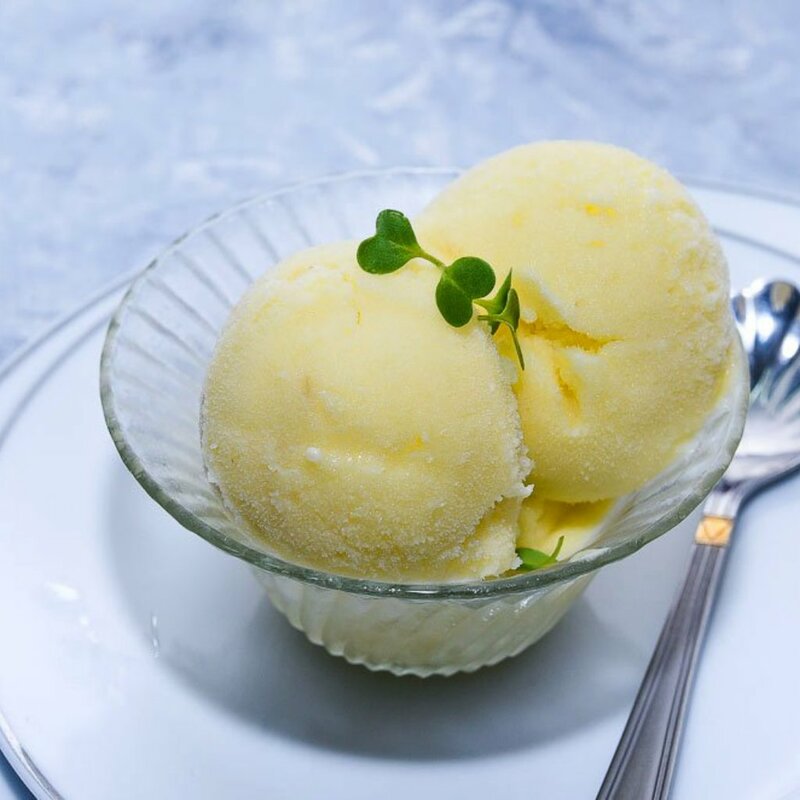 Pour this mixture over the dry ingredients and toss together, making sure all the dry ingredients are coated with the wet ingredients. 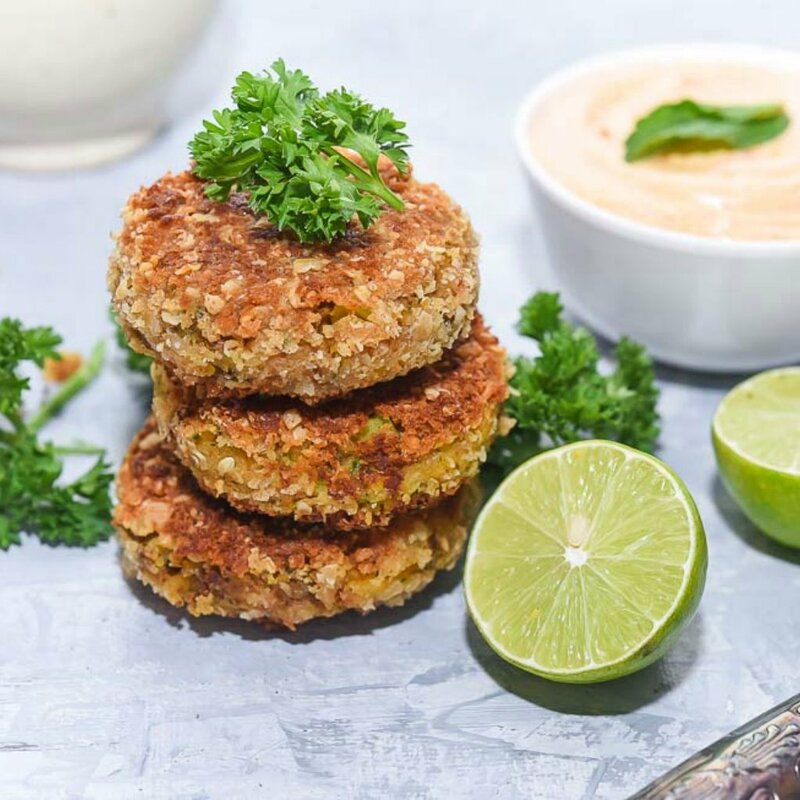 Spread in an even layer on your baking sheet and bake for about 40 minutes or until golden brown, stirring occasionally so the mixture browns evenly. 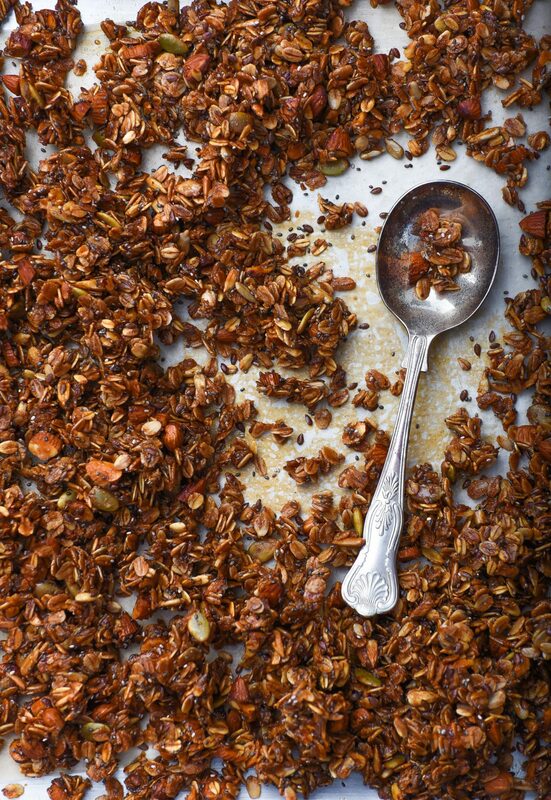 The browner the granola gets (without burning) the crunchier the granola will be. Remove from oven and place on a wire rack to cool. The granola may still be sticky when it is removed from the oven but it will become crisp and dry as it cools. Stir in dried fruits, if using. Store in an airtight container. It will keep for several weeks. Serve plain or with milk, yoghurt or fresh fruit.